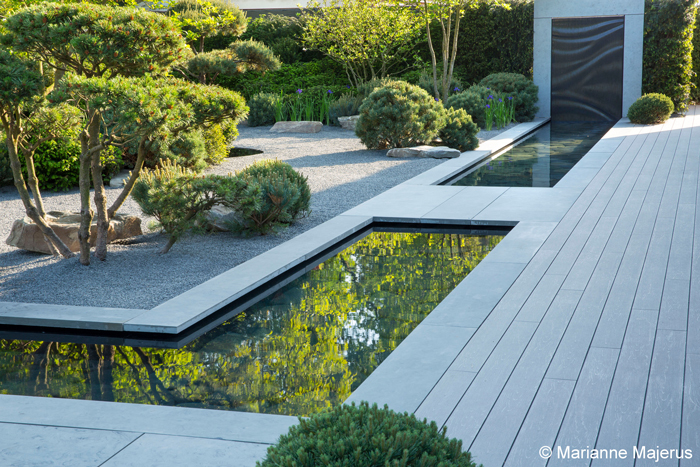 The recent awards ceremony of the Society of Garden Designers (SGD), where some of the best landscape and garden projects were celebrated, highlighted some hot new trends in garden design. 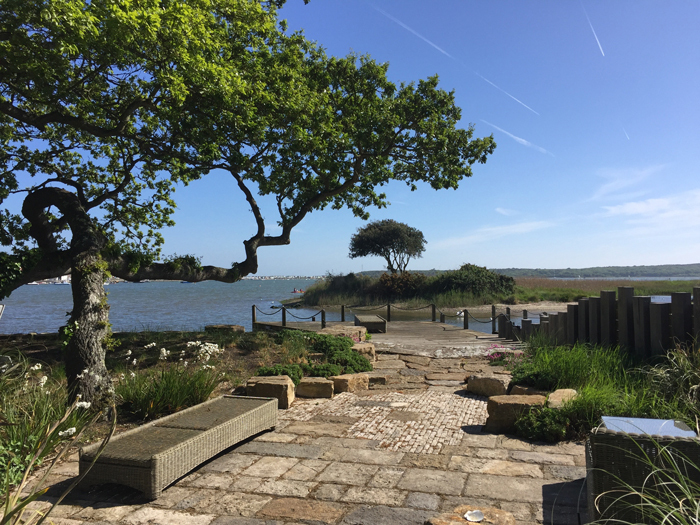 In this feature the Society of Garden Designers help us take a look at some of the trends from the award winners and also reveal some tips to help make your garden an award winner. 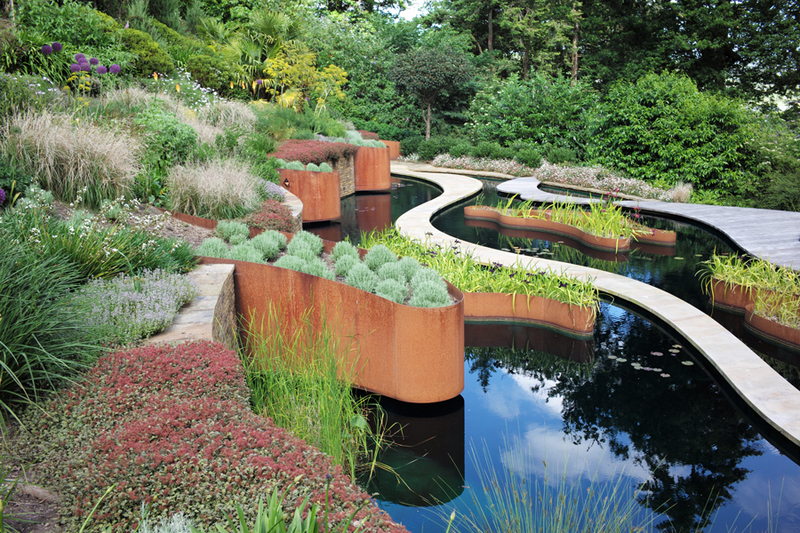 Multi-layered steel planting systems were key features in two of the award-winning gardens. Emily Erlam (pictured left) used blocks of angular steel planters, deep filled with plants, shrubs and trees, to create a densely planted roof terrace. Pine was a feature tree choice in the winning gardens designed by Matt Keightley and Emily Erlam. 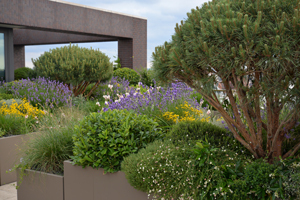 Cloud-forming dwarf Mountain Pines (Pinus mugo) planted deep among Mediterranean style planting were used by Emily in her design for a London roof garden (pictured left above). Matt chose bonsai-form Scots pines (Pinus sylvestris) and the slow growing Pinus sylvestris wateri to add year-round interest to his modern gravel garden (pictured above). Monochromatic Green Gardens as displayed by Matt Keightley and Robert Myers who chose lush all-green gardens, cleverly contrasting foliage and textures to add year-round interest to their designs while also creating gardens that are as visually pleasing as they are calming. 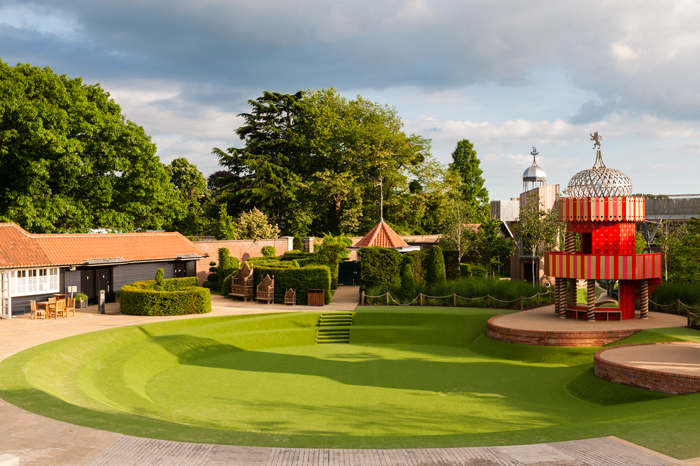 (pictured above and below Robert Myers design for the Magical Garden, Hampton Court). 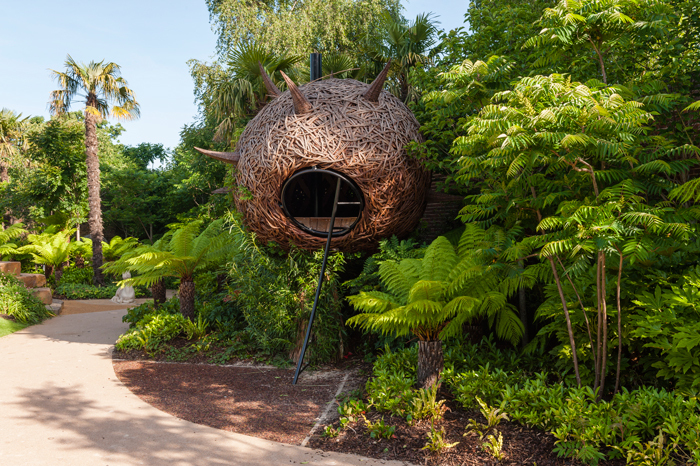 The mixture of monochromatic foliage creates a perfect backdrop to the bold spherical sculpture in Robert Myers’ Magical Garden at Hampton Court (pictured above) and is the ideal complement to the soft grey landscaping and reflective water feature in Matt Keightley’s contemporary garden (pictured below). Using a variety of plant shapes and sizes with different heights and leaf shades will add movement and drama to spaces as depicted in the pictures above. Horticulture met art in the winning gardens of Matt Keightley, and also the garden of Debbie Roberts of Acres Wild, where the precise placement of sculptural box ball (Buxus sempervirens) and mound-form pines (Pinus sylvestris wateri) were used to punctuate the garden layout and draw the eye in. (Debbie’s design pictured below). 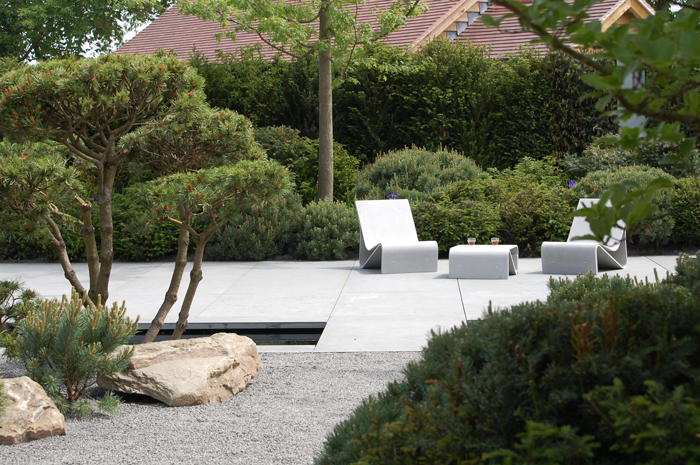 Some of the tips to bear in mind in your own gardens include opening up your space. Excessive hard landscaping, walls, fences and ornamental features can make a garden feel congested and complicated says the SGD. 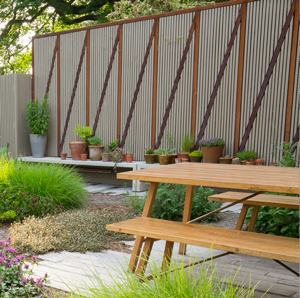 The beautiful garden (above) by Debbie Roberts of Acres Wild makes the most of its wonderful landscape setting by opening up the whole space and connecting it to the wider environment. The pared down simplicity of Helen Elks-Smith’s harbour-side garden lets the view and location simply work its magic. (pictured below). We will be featuring more tips on design from the Society of Garden Designers in future articles and would like to thank the SGD and the designers for sharing their expertise with us for this feature. Picture credits: All photographs are strictly copyright: Banner ©Ian Kitson FSGD; Emily Irlam garden top left ©Emily Irlam ; Jane Brockbank MGSD, Best Small Garden, top right, ©Marianne Majerus; Magical Garden at Hampton Court, two photographs pictured middle above ©Alex Ramsay; Matt Keightley MSGD contemporary garden middle above ©Marianne Majerus; Debbie Roberts garden middle above ©Debbie Roberts; Helen Elks-Smith MSGD Harbourside garden ©Helen Elks-Smith.